We, as believers, do pray, just as the disciples did. However, do we truly know how to pray? Are we talking with our Father as our closest friend, or are we praying like commercials, repeating day in and day out our broken prayer lists? After all didn't Jesus encourage us never to give up? Luke 18:1-8 records the story of a widow who persisted in obtaining justice from a judge who had no regards towards God or mankind. Because she kept bothering him day in and day out, he became tired of her shenanigans, and in order to get rid of her, he gave her justice. However, does this mean we need to repeat our prayer list over and over, as is the case in so many other religions? Let me ask you, how would you feel if whenever you were with your spouse and/or children, they always asked you for the same things day in and day out? It would drive anyone crazy! This isn't what a family is about: "And when you pray, do not use vain repetitions as the heathen [do.] For they think that they will be heard for their many words." (Matt 6:7, NKJV) The parable of the persistent widow is about never giving up, not about repeating endless lists. Are we as persistent in finding God's will at all cost? Maybe we give up too easily. Too often we pray without expecting an answer, or if we expect an answer, we too often forget about our prayer. We pray once, maybe twice, but eventually we give up, as we have no idea what God's will truly is. In other words, our faith has no foundation. Why pray if we don't expect an answer? Too many among us have no idea about the power of prayer. The disciples were no better than us: "Lord, teach us to pray, just as John taught his disciples." (Luke 11:1b, NIV2) They, too, had no clue how to pray, even though they were intimately acquainted with Jesus! Jesus showed us how to pray (See Matthew 6:9-13); however, many believers take this prayer and repeat it over and over, without understanding what it really means. That wasn't Jesus' goal. Prayer is supposed to be an intimate time with our all-loving Heavenly Father! Did we even notice that Jesus' exemplary prayer started with worshipping God? I sure didn't, until now. According to a famous preacher named Prince, if we had but ten minutes to pray, 8 minutes should be spent on worship and 2 minutes in requests. After all, how do we make friends? Isn't it by acknowledging how special they are to you and by spending time with them? Do we truly appreciate what our Father has done for us, not only during creation and redemption, but day in and day out? Are we even aware that He has always been with us through our troubles as well as our joys? I share everything with my wife. That is how we should treat our Father as well, for He loves us so much that His Son willingly died for us so that we could experience real love. Who else would be willing to die for you in order to save you? Your doctor? Your dentist? Your boss? Prayer is supposed to be geared around the desire to have "God's will be done on earth as it is in heaven". We need to hunger to do anything to bring His will to our planet! The first Century Christians knew how to do this. They performed miracles and wonders from the Most High; however, when Christianity became approved by numerous countries, something strange happened: Christians began to forget how to focus on bringing God's will on earth. After all, didn't kings and queens accept Christianity as their major religion? Healings became sparse, forgiveness became a fleeting notion, demon possessions were ignored, and this has been going on for centuries, especially when the church started to focus on works instead of our Father! "Your will be done on earth as it is in heaven." What does this mean? It means we are co-partners with God to bring His will on earth as it is in heaven. For example: Is there sickness in heaven? The devil certainly would like to afflict heaven that way, but he has no authority there. However, here on earth, too often we concur with the evil one, without even knowing it: "I am sick. It is God's will!" If there is no sickness in heaven, why should it be God's will for us to be sick? If we go back to the beginning of Genesis, we will realize that sickness was a consequence of sin, when we gave authority to the evil one! Jesus truly showed the way when he healed every disease he encountered: "A large crowd followed him, and he healed all who were ill." (Matt 12:15, NIV2) The first century Christians did a multitude of healings as well: "Crowds gathered also from the towns around Jerusalem, bringing their sick and those tormented by impure spirits, and all of them were healed." (Acts 5:16, NIV2) God's will is not for us to be afflicted with disease, but for us to be healed. Jesus' prayer is revolutionary. It isn't about our will, but our Heavenly Father's will. All of these are important to God. But from which perspective do we look at our necessities? Do we want to bring God's Kingdom on earth as it is in heaven? If we do, things will change drastically. 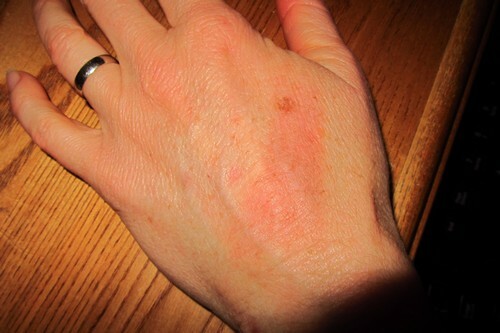 One day my wife accidentally poured boiling water on her left hand. It was, in all, a painful accident. I stood still until I could feel God's Spirit fill me. I put my hand above her painful burn and prayed a brief prayer: "Thank you Father for giving us opportunities to experience You personally. Lord, may Your will be manifested here on earth as it is in heaven. Remove the pain from my wife's hand right now. I know this is Your will, as Jesus demonstrated this while He was on our planet. Thank You so much, Father." Immediately all of the pain disappeared. Oh, the burn was still there, a fact that the red bubble attested to. In fact, everyone who saw her hand exclaimed: "This must be so painful!" It was an opportunity for my wife to share with them about our Father in heaven. A couple of weeks later, my wife went to bed dizzy with pain in her stomach. Again I approached her in prayer, trusting that God's will be manifested. The next day she woke completely healed. What was to happen never occurred. Would you like to experience your Heavenly Father? Come to Him and experience Him like never before! He is awesome, believe me.